Adam Neylon and Devin LeMahieu. Two GOP lawmakers are sponsoring a bill that would stymie state agencies from imposing environmental, consumer protection, public health and safety, and other standards and regulations at the expense of their special interest contributors. The measure is similar to a proposal concocted in 2012 by a pro-business group called the American Legislative Exchange Council (ALEC). ALEC is a special interest bill mill that unites business and other powerful special interests with state legislators around the country to develop “model” pro-business and social policies that can be introduced in state legislatures around the country. The bill would prevent a state agency from creating any new rules and regulations that cost a business or industry more than $10 million without legislative approval. The measure would also allow legislators to request a study of a proposed rule’s cost to the business community, independent of a state agency’s claims about the costs. 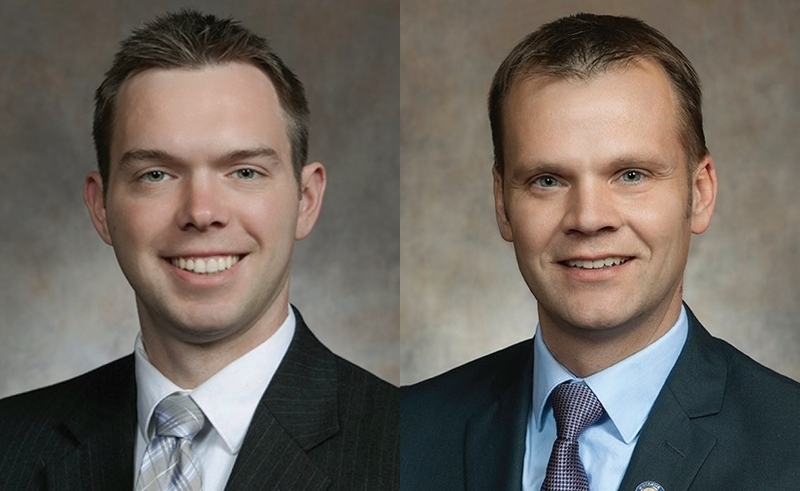 The proposal was introduced by Rep. Adam Neylon of Pewaukee and Sen. Devin LeMahieu of Oostburg, and is supported by the Wisconsin Manufacturers & Commerce (WMC), the state’s largest business organization. WMC’s 3,500 members represent more than a dozen wealthy special interests like business, construction, insurance, banking, and manufacturing that generally favor deregulation. LeMahieu and Neylon were both elected in 2014. Between January 2013 and October 2016, LeMahieu accepted nearly $274,000 from wealthy special interests, including about $26,250 from the construction industry, about $22,460 from banking and finance interests, $21,400 from road builders, and about $18,900 from manufacturers. Neylon accepted more than $53,100 during the same period from special interests, including $6,650 from the construction industry, about $5,400 from manufacturers, $4,450 from the banking and finance industry, and $3,800 from business interests. At the federal level, a similar measure, commonly dubbed the REINS Act – Regulations from the Executive in Need of Scrutiny Act – was passed by the GOP-controlled U.S. House of Representatives in 2015 but died in the Democratic-controlled Senate. However, the 2016 elections turned over full control of Congress and the presidency to Republicans who appear poised to pass the bill again. Democrats did not control the Senate in 2015.